The term “biopsy” frequently evokes fear in patients, as the procedure is most often associated with cancer screening. Nevertheless, patient fears about biopsies are not wholly unwarranted and not simply due to the possible prognosis. The actual procedure itself is often terrifying to patients. While many biopsies are outpatient procedures, most are extremely invasive, requiring the surgical excision of suspect tissues, which can lead to hazardous and painful complications. Sadly, for many cancer patients biopsies are a necessary procedure to facilitate predictive tests before treatment and often as diagnostic tools during drug intervention or post-surgical elimination of the perceived cancerous borders of a tumor. However, a hallmark of cancer is its ability to grow and evolve rapidly—attributable to the complex heterogeneity that constitutes most tumors. 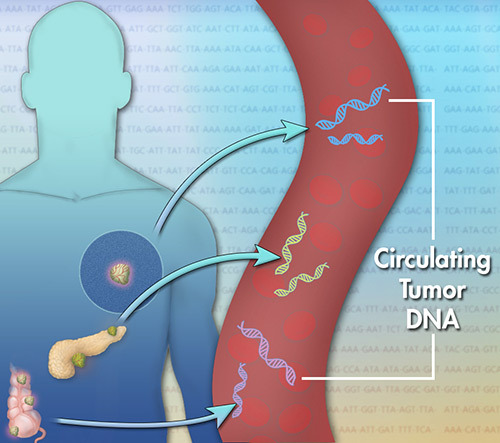 In a practical sense, this means that if a tumor biopsy is taken before a treatment regimen, that by the time the drug course is completed, there is a high probability that the cancer has already evolved, often becoming resistant to an entire class of chemotherapeutic compounds and rendering the information from the original biopsy obsolete. This paradigm of invasiveness and lack of real-time data are drawbacks that oncologists and clinical researchers have, to their credit, been dealing with for decades when designing treatment courses for cancer patients. But, what if it were possible to detect, diagnose, and track various cancers in real time from a small blood sample? Would that open up new treatment options and provide better care? The stakeholders in the burgeoning field of liquid biopsy tests think so, and a number of biotech companies are jumping head first into the diagnostic pool, hoping to leverage their strengths in developing simple assays for detecting cancer biomarkers.